Pigmentation imbalances play a major role in producing unusual complexion of ginigival tissues. The imbalance occurs mainly due to excessive melanin deposits in the body. In such condition, the pink colour of the gum transforms to black patches or spots. Gum depigmentation is a cosmetic procedure which tends to remove black spots or patches from the gums. 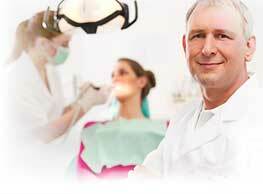 This procedure helps to restore the gums to its normal texture. Prolonged use certain antibiotics may also cause gum discoloration. Black gums is a condition which affects all or a part of the gum tissue. The gums appear in black or brown colour. A surgical procedure is often opted to permanently treat the dark pigmentation of gums. The procedure is done with local anesthesia. The uppermost layer of the gum tissue is vaporized and later removed. This destroys the cells which produce melanin. As a result, the natural pink gum tissue lying beneath the dark pigmented areas are exposed.